This prank is short and simple and has nothing to do with pranking at the office (although if you had some grass leading into work it would be pretty funny to do it there). 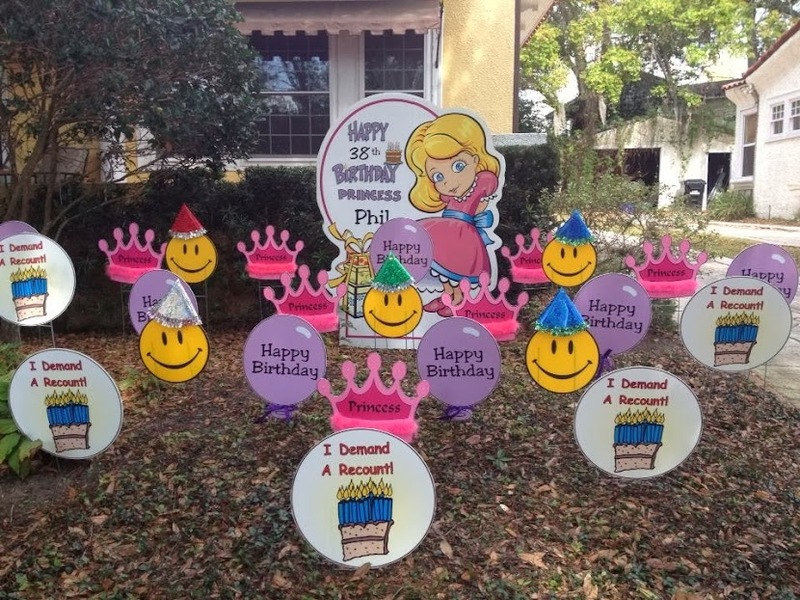 There are many companies out there that you can hire to put out lawn signs for a person’s birthday. In this case, we went with the princess and smiley face (inside joke) theme and put them in our bosses yard while he was on vacation. I imagine his reaction was pretty priceless when he pulled into his driveway at 11:30pm to see this. This is a good prank if you are short and time and want someone else to do all the work! Make sure you read the other birthday pranks: Plastic Wrap, Cups, Aluminum Foil, and Cars! Superheroes Unite! // Hudson's 1st Birthday!